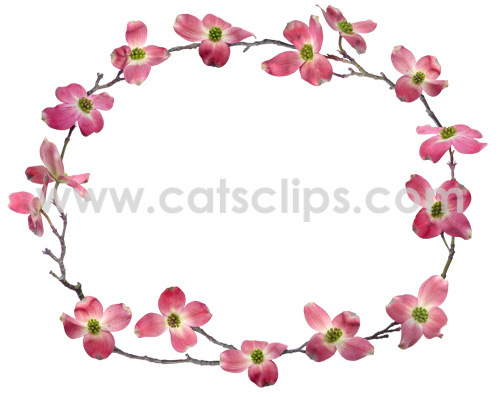 Elegant pink dogwood blossoms form a distinctive border for wedding invitations or baby shower announcements. A JPG on a white background. A PNG with a transparent background. Sale through Etsy. In your confirmation email there is a link to download the image/s. If you have trouble with finding your link, send an email to: orders@catsclips.com and your images can be emailed to you.